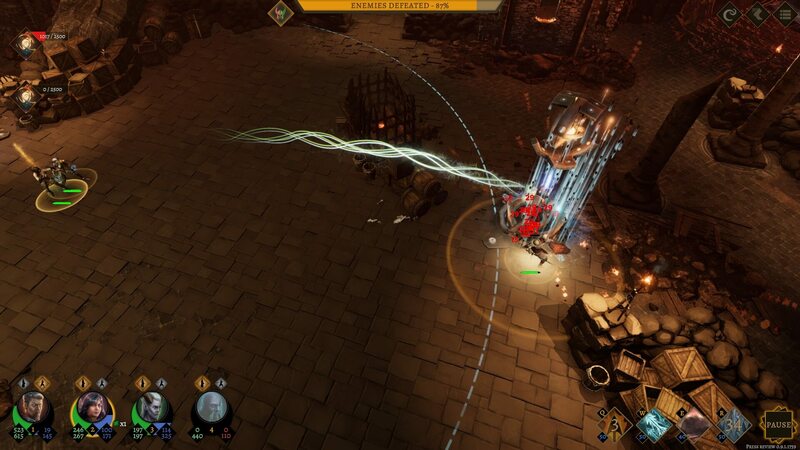 From the title, you might expect Tower of Time to be something of a dungeon climb. In truth, this upcoming roleplaying game sends you deeper and deeper into danger, dispute and deadly truths. 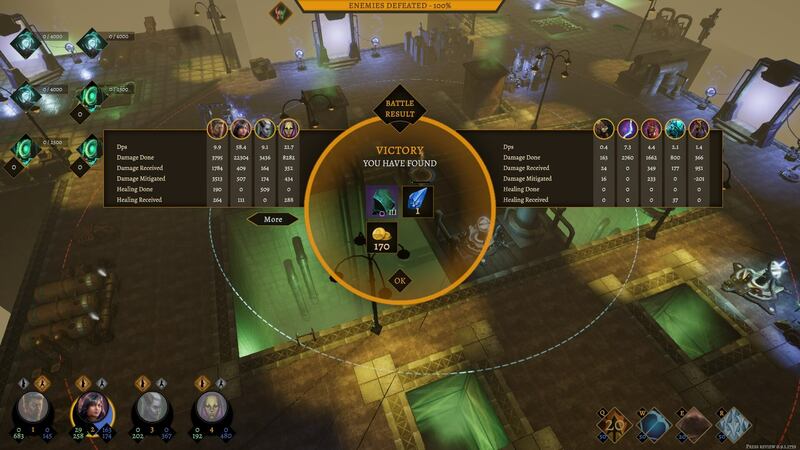 With a reputed fifty hours of challenging and engaging gameplay, what could Tower of Time have to offer you? 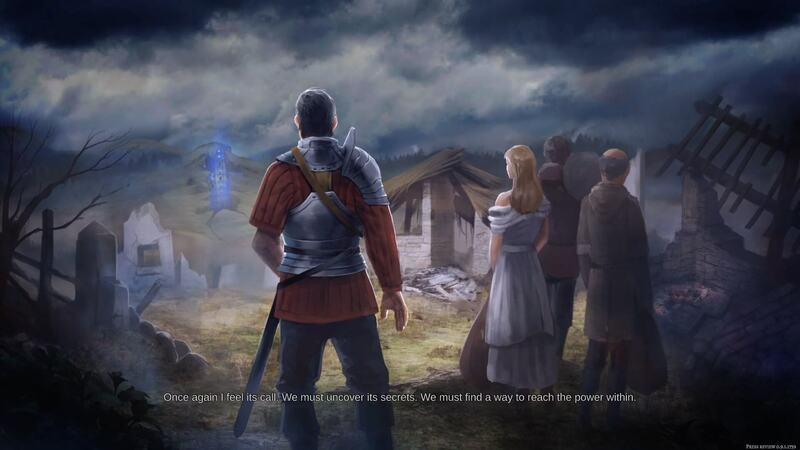 Tower of Time is the kind of roleplaying game that casts you in a pre-assigned role rather than leaving you free to choose, which fits the story to a T. You play as one of the king’s most trusted advisors, residing in a dying and desolate land. Marked out as a young child by a mysterious character seeking judgement for past misdemeanours, you are drawn to a tower thrust deep into the ground, upside-down, by the village where you were born. Drawn to it, that is, because you’ve been there before. You discovered the place as a child, encountered the presence of the mysterious character and drew his attention before forgetting about the event. As you grew older — and your talents had ripened — you began to remember and returned, exactly as he planned. The world is dying and your gut tells you that the key to its survival lies at the top — or bottom — of this tower. As it turns out, what you know about your world begins at ends at the first level of the tower. With the power of royalty behind you, you don’t come alone, instead bringing two skillful soldiers (Kane and Maeve) with you. As the expedition rolls along, a city begins to take shape in the land around the tower, forming a hub for you to return to throughout the game. All this is explained in an initial cutscene introduction, which is just long enough that you begin to suspect they will be a common occurrence, but once you’re in the action, you’re there to stay. From then on, the story unfolds through scattered character dialogue at key moments and, restricted to around one per level, short cutscene visions of the past. The troubles of the current world gain perspective as ancient enemies shift into view. It’s not long before you encounter your first addition to the expedition. Species almost unseen by humans for generations send delegates to the tower, determined to join you in the search for answers. This is where the story meets its most interesting feature: choice. Choice in many roleplaying games is often the case of choosing from paths laid out before you. But canonically in Tower of Time, you don’t control the party. You control the ‘hero’ sitting on the first level of the tower, who finds he can influence the party’s decisions. In this way, you can exert your will over them to force them to a conclusion or let them decide for themselves. It’s an interesting dynamic with strong ties to gameplay, which we’ll touch upon more later. The tower may be an ancient enigma, but it isn’t empty, that’s for sure. We won’t give too much away, but wandering around the hallways inevitably leads to fights with enemies in fixed positions across the map. They’re scripted in a loose sort of fashion wherein they have written introductions based on the situation, but all follow the same rough format with variations that manage to keep combat reasonably fresh throughout. Combat takes place in a series of set maps, each rendered in as complete detail as the ordinary appearance of the tower and its strange, physics-defying construction. You can bring up to four party members into the fight with you and have the welcome option to change your party before a fight (canonically, every member travels with you at once, which you can see in normal travel). 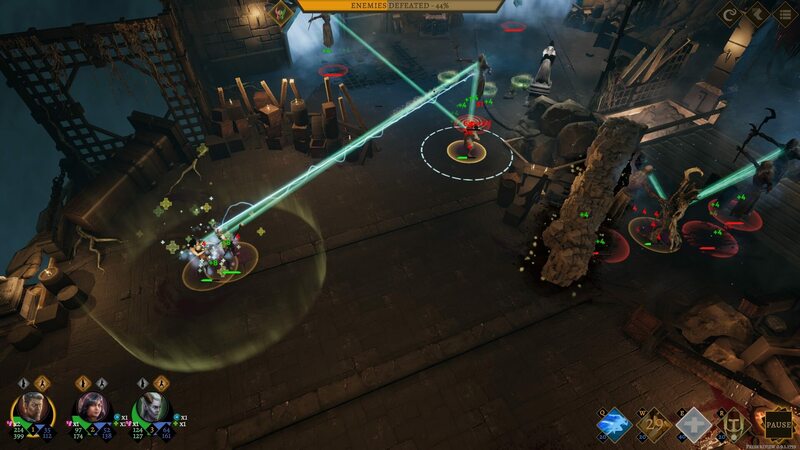 As the enemies stream in from various points around the edge of the map, you can position each character individually, or as a group, taking advantage of the scenery to block some ranged attacks. You can do this in real time, slow time or pause mode, as Tower of Time lets you toggle between them with the space bar (the choice of slow time or pause mode is configurable in the options menu). 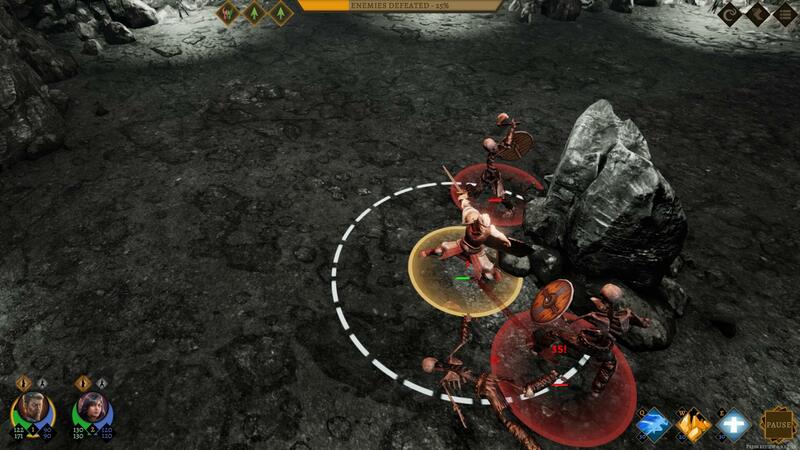 This caters for both styles of play, unlike recent strategy game Wartile, which made the brave but sometimes criticised decision to only offer slow time. Stand Ground does what it says on the tin — characters attack anything in range, but don’t move to intercept. It’s great for keeping tanks in range of healing spells until they recover or making sure DPS units don’t wander into area-of-effect attacks. Move and Attack leaves them free to head to the nearest enemy — we mostly left our tank in this mode so he could work across the map systematically, using skills to generate extra threat as needed. On large maps, we sometimes forgot where he was and found him fighting his own battle on the opposite side of the map, still on full health. The threat we mentioned works the same as in most other roleplaying games. Our DPS did so much damage that enemies constantly switched aggression to her, but Tower of Time makes it very easy to keep track of this. In slow/pause mode, red lines connect enemies to their current target. Even in normal time, enemies which change target sprout an icon over their head as they do so. With this indication, you can quickly spot them and get your DPS to hide, or your tank to taunt, using skills. Skills are the real teeth of combat. They’re the means by which you can turn the tide of battle in your favour, or have it turned against you. 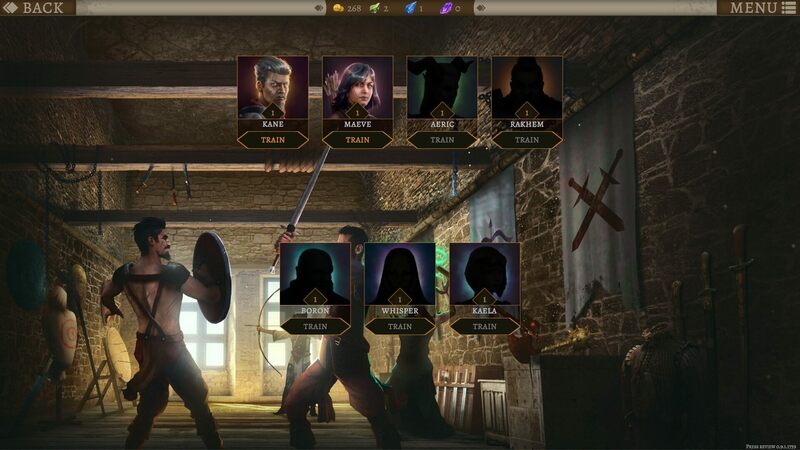 Each character you meet throughout the game has their own unique skillset, unlocked over the course of the game. They can only bring four of those skills into combat with them, though, so choose carefully. These can range anywhere from a simple taunt or healing circle to a rain of arrows falling from the sky or an ent traipsing through your enemies. It’s here that we see one of Tower of Time’s best features: the ability to draw the path your attacks follow. Not many skills do this, but you can draw walls to block or slow opponents or decide where arrows rain. (To cause maximum damage to certain enemies, we often scribbled on the spot). Each skill has two upgrade routes to follow, offering slightly different variations. Through this and skill, equipment and character selection, you can cater to your own playstyle, even if you don’t know what that is when you begin. You’ll constantly be given chances to think about combat in different ways. Altering from the standard brawl where you kill a set number of enemies and leave it at that, you can encounter ambushes, tower fights, portal fights and boss fights, among other variations. Ambushes trap one or more of your party in cages which must be destroyed before they can fight — awkward if it happens to trap your tank, your best DPS or both. Tower fights are perhaps the most difficult early on. 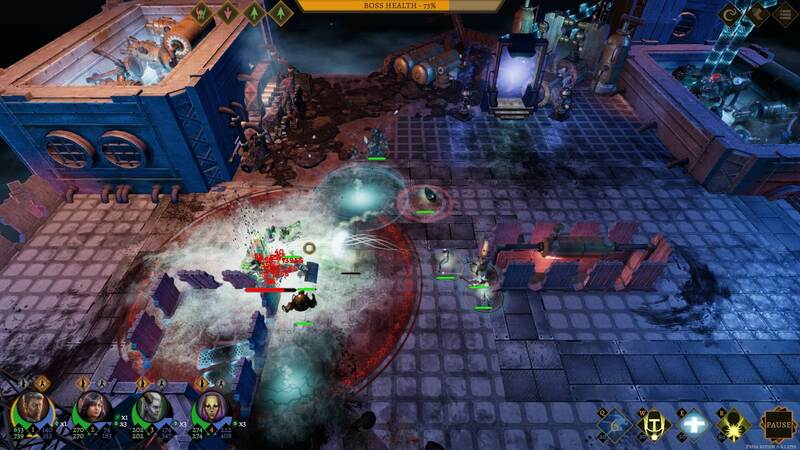 Alongside standard enemies (which nonetheless change on each level of the tower), you must destroy strong towers. It can be a difficult balancing act to keep out of the way of them and fight off the living enemies before picking off the towers themselves. Portal fights are the most interesting, with several portals scattered around the map. Each has a timer and spawns enemies close to it. When the timer reaches zero for that portal, they’ll come to attack you — the same happens if you step within range of the portal. You have to make quick decisions about which to target first and what order to address them in, because as soon as you’re done with one, you need to assault the others. Enemy types are hugely varied, with a bestiary for each floor, so we won’t go into specifics. But each has their own abilities, strengths and weaknesses. Boss fights are the epitome of this, with several stages to their approach and auras and other nasty tricks which can send your entire team packing. You can see an enemy’s stats beforehand, so you can change your party to suit, or even withdraw — unless it’s an ambush — to rearm yourselves. And if that doesn’t work? Well, you can start over from the beginning at any point during the battle, or reload the last save. By this, we mean that not all of your party need to fight to level up. After all, they’re with you all the time, technically speaking. Instead, you spend gold in the city to level them up through training. Certain classes can level up to a point, then you need to upgrade a building using both more cash and blueprints you find in the tower. It keeps you levelling at around the right pace and there seems to be the right amount of money to stay satisfied. Attributes — standard stats like might and speed — are more difficult to change, costing a small number of the highest tier of gems. These gems are also used to create and modify equipment. You can create new items of various tiers as you unlock the ability to craft them, costing gems relative to the tier of the item. At the highest tier, items gain enchantment slots, which can be filled for more gems with enchantments ranging from elemental resistance auras to 250% critical damage boosts. An item’s stats can be increased further in the forge, where up to three of its attributes can be increased for gems. As each class can only use certain items, however, and you find a good amount of them roaming the floors of the tower, you can also dismantle them to recover some gems for further improvements. If this weren’t enough, you can further increase your characters’ skills through scrolls, fountains and quest rewards. Scrolls and fountains are a double-edged sword, though. Read their messages and judge their appearance well, as their effects can be negative as well as positive. We got quite adept at telling the difference and probably did the opposite of what we should, throwing all of them at Kane to turn him into the super tank. Still, anger your companions too much and all this could be for nothing. With each story choice you take, even if you don’t force the party’s hand, one side always takes an alignment hit. Negative alignment reduces a statistic specific to that character. Positive alignment increases it. We’ll hesitate a guess in saying that keeping everyone happy is impossible. Alignment in Tower of Time is all about damage mitigation. Do you juggle events to have massive stat boosts, but push other party members away, or do you keep everyone roughly neutral in an attempt to keep them together? Level by level, fight by fight, you work your way to the once-top of the tower, urged on by a thirst for the truth. It may be tempting to get there quickly as possible, but the journey is easier if you take time to complete sidequests and find hidden rooms. There’s a surprising amount to be found on each level, some of it quite difficult to find — and only occasionally reminiscent of a pixel hunt. If you don’t manage to find everything, the game lets you know about it. You can see what percentage of each level you’ve completed and what you’re missing, so the desire to go back and find it will taunt you for levels to come. Tower of Time is an incredibly intriguing game and a fun experience throughout, despite some wavering writing which might put a wrench in other games’ gears. We’ve put in over twenty-five hours ourselves, with the hope of continuing on to the end of the story as soon as we can. It manages to fit into the old niches while having its own unique traits on proud display. Considering its price, sheer amount of content and gameplay that never quite gets old, we can’t fail to recommend it. Your review convinced me to purchase the game. Thanks.